Stop by Friday, November 2 to help celebrate the ninth anniversary of the blog! I'll be posting throwback posts from the past nine years throughout the day with lots of giveaways. See you there! 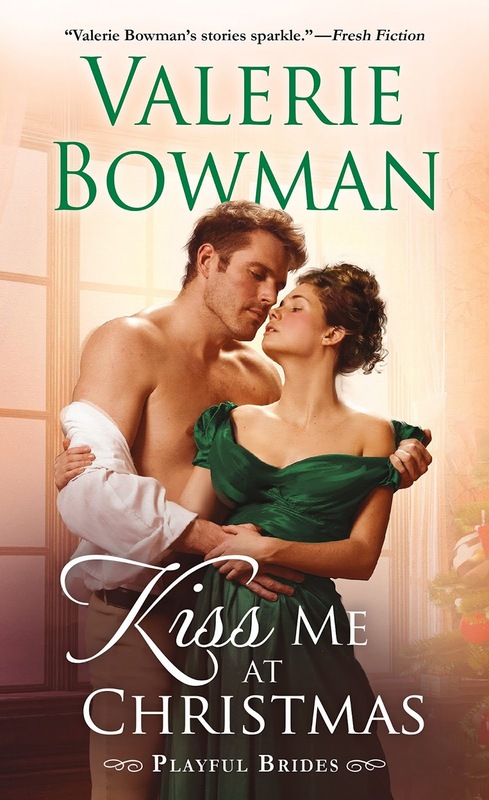 I'll be sharing my thoughts about Valerie Bowman's newest novel, Kiss Me at Christmas when the book's blog tour stops here on Monday, November 5. This historical romance, part of Bowman's Playful Brides series, tells the story of handsome and noble Bow Street Runner Daffin Oakleaf and Lady Regina, an independent-minded woman approaching thirty who believes being a spinster doesn't mean she should have to give up the possibility of pleasure and decides Daffin is just the man to give her that experience. I've been looking forward to this book since watching these two strike sparks off one another in Bowman's last novel, A Duke Like No Other. Maggie Robinson joins me for a Q&A on Tuesday, November 6, to talk about her new novel, Nobody's Sweetheart Now. 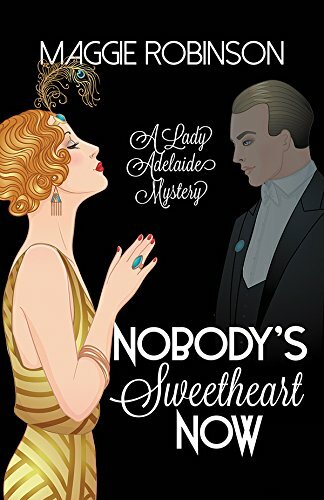 This first book in Robinson's Lady Adelaide Mysteries, set in 1920's England, introduces the young, widowed, mystery-solving Lady Adelaide Compton, an Anglo-Indian Scotland Yard inspector who has Addie's lady bits stirring to life, a childhood friend who wants more than friendship, and a not-so-dearly departed, dead husband who isn't quite ready to leave this world behind. Thursday, November 8 brings a return visit from historical romance author, Vanessa Kelly. Her newest book, The Highlander Who Protected Me, launches Kelly's Clan Kendrick series, centered around a tight-knit, rough and tumble clan of Highland brothers and their journeys to love. While this is the first book in the new series, it's the second Kendrick story to be told. The family was introduced in oldest brother, Nick's story in Kelly's last book, The Highlander's Princess Bride. 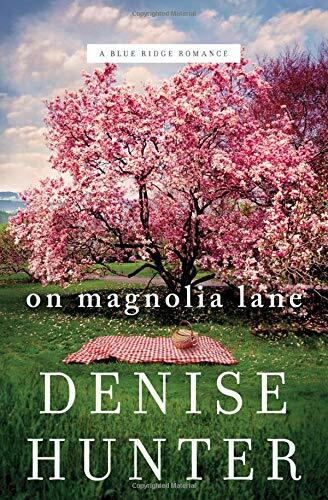 On Monday, November 12, I'll share my thoughts about On Magnolia Lane by Denise Hunter as part of the book's TLC blog tour. This third book in Hunter's inspiring Blue Ridge Romance series features a pastor hero, online dating with a "You've Got Mail" vibe, and a sweet, southern, friendship to love story. 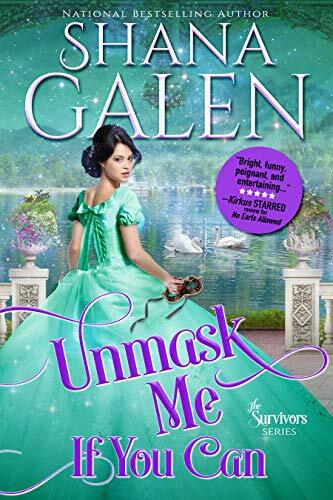 Join me on Tuesday, November 13 for my review of Unmask Me If You Can by Shana Galen and a Q&A with the author. In this fourth book of Galen's The Survivors series, Lord Jasper hides the horrible burns suffered during the Napoleonic Wars behind a face mask while Olivia Carlisle hides her very existence from her family and all she ran from in London. It's another emotional tale in this popular historical romance series. This is going to be a good month. Historicals and a Blue Ridge story will make for some good book introductions. It doesn't seem possible that it has been 9 years. I don't know how long I have been following the Romance Dish, but I hope there are many more years to come. I am at a conference so will likely not have any opportunity to stop by. Have a good anniversary celebration. Happy Anniversary. Look forward to all the Nov posts. Looking forward to another fabulous month here on the blog. Lots of good reads coming this month. Can't wait. It sounds like a really fun month! Happy blogoversary! Sounds like a wonderful line up.